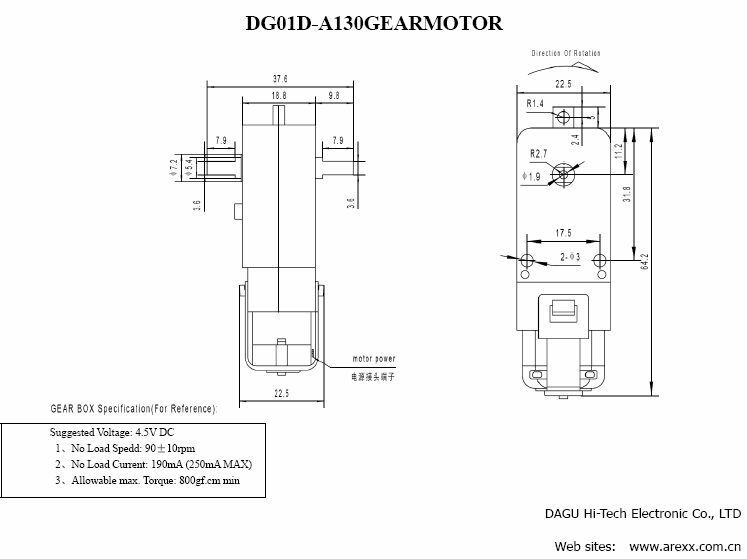 These are a pair of hobby gearmotors from DAGU. These gearmotors are the same ones recommended for use in SparkFun's Shadow Chassis and offer a cheap and easy-to-use setup to get your wheels turning. Each Hobby Gearmotor also possess a 9mm long output on a straight axis. Note: The RPM in the datasheet below is listed as 90RPM. Based on SparkFun's own testing they found the gearmotors can actually achieve a No Load Speed of about 140 RPM.